KCS was delighted to welcome Shane Casey on Friday 25th January. 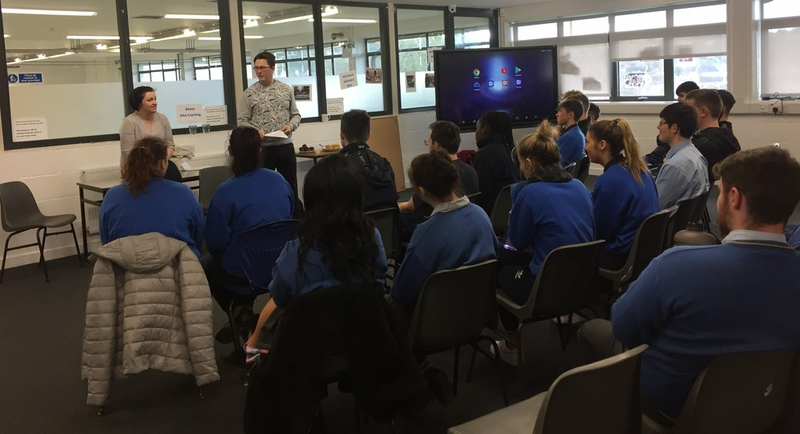 Shane held a workshop with a group of 5th and 6th years and taught them about resilience through his own life experiences. He spoke about the importance of resilience especially during the stressful times around the leaving cert. Shane acknowledged that students have probably been through tough times and will go through tough times as they move on from school; but learning to come back from those difficult or stressful situations is key. He explained to the students that they should always have someone to go to for advice and to share their worries with and they should also make time for themselves every day even if it’s just 10 minutes to have a cup of tea and chocolate or half an hour to watch your favourite series.